Yes, filing for a Missouri bankruptcy more than once is possible, subject to a few specific rules. And although the thought of doing so may seem like a horrible idea, sometimes it is quite necessary (depending on the circumstances). The main thing to keep in mind is that a bankruptcy is supposed to serve as a ‘fresh start / clean slate.’ It is a chance to wipe the slate clean; to start fresh, start new. So long as you approach a St. Louis bankruptcy in this way, you will eventually reach your financial goals. But to be more specific about the main question posed, let me start by saying that there are two main chapters of bankruptcy that either an individual or married couple may file: a Chapter 7, and a Chapter 13. A St. Louis Chapter 7 bankruptcy is commonly described as a liquidation / discharge. The discharge side is pretty straightforward; your unsecured debts (such as credit cards, medical bills, payday loans, overdrawn bank accounts, deficiencies from a repossessed car, etc.) are knocked out (i.e. discharged forever). The liquidation side is where the Trustee looks at your assets to determine whether or not there is any equity. If there is substantial equity beyond the governmental exemptions, then it is possible that the Trustee may wish to liquidate the asset, and pay the proceeds towards the unsecured creditors that are to be discharged. The bankruptcy code states that you may only file a Chapter 7 once every eight (8) years. The other main option is the St. Louis Chapter 13 bankruptcy. This is described as a repayment plan over the course of three to five years, in which certain debts are paid back. Certain secured assets, like a car loan; arrearage on a house mortgage; tax debt; back child support; attorney fees; and in some circumstances, a portion of your unsecured debt. Chapter 13s have less stringent rules as to how often you can file for such a bankruptcy. Although there are a few specific rules as to whether or not you can receive a discharge of unsecured debts in a 13; if for instance you have filed a Chapter 7 within four (4) years of filing a Chapter 13, you may not receive a discharge at the end of the repayment plan. An additional rule states that if you file a Chapter 13 which subsequently gets dismissed (either voluntarily, or because of a failure to make monthly payments), and you wish to file a new 13 within one hundred and eighty (180) days after the last one was dismissed, then you will need to file what is a called a Motion to Extend the Automatic Stay. If that last sentence didn’t make any sense, then that is a pretty good indication that you definitely need an experienced attorney to handle such matters for you. In the end, what is best for your particular situation depends on a great many factors. And it figuring out what is best for you should involve the advice of a capable, experienced, knowledgeable, and careful lawyer. 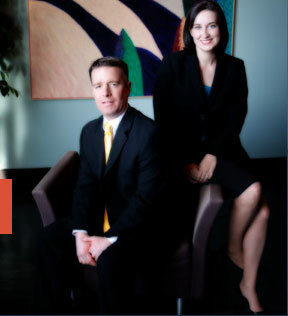 The affordable St. Louis bankruptcy attorneys at Brinkman & Alter, LLC have been assisting people wade through the difficult waters of bankruptcy for years. Our goal is to make sure that your needs are met from beginning to end, and you get back on the road to financial health. All phone conversations and office consultations are free of charge.